A head-up display or heads-up display—also known as a HUD—is any transparent display that presents data without requiring users to look away from their usual viewpoints. The origin of the name stems from a pilot being able to view information with the head positioned “up” and looking forward, instead of angled down looking at lower instruments. HUDs are now used in commercial aircraft, automobiles, computer gaming, and other applications. 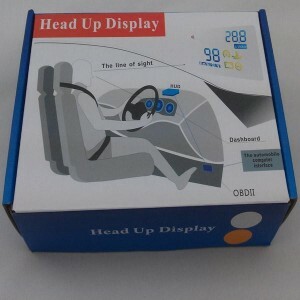 F01 Car HUD Vehicle Head Up Display is a multi-functional HUD product which is developed based on OBD2 interface and has good cost-performance ratio. It is designed by adopting the latest integrated circuit with stable performance and has a beautiful and elegant appearance. The installation and adjustment examination can be finished within 3 minutes by using an easier and safer method. F02 Car HUD is a multi-functional HUD product which is developed based on OBD2 interface and has good cost-performance ratio.which can project important information (e.g. vehicle speed) onto the front windshield at the eye level of the driver. Besides, the display location and brightness can be adjusted through automatic induction, which makes it possible that the driver may not have to look down at the instrument panel and shorten the time of visual dead zone forward. 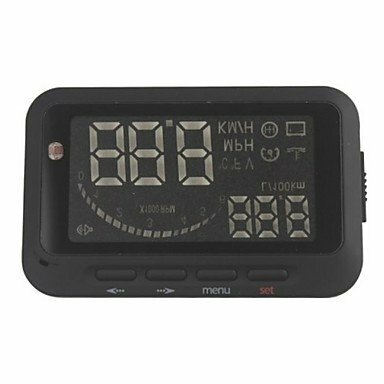 ED Car HUD Head Up Display With OBD2 Interface Plug & Play Speeding Warn System W01 makes it possible that the driver may not have to look down at the instrument panel and shorten the time of visual dead zone forward. This one can allow you to tuning speed to make sure it is same as your vehicle dashboard. HUD Projector Head Up Display KM/h & MPH Speeding Warning OBD II Speedometers, can project important information (e.g. vehicle speed) onto the front windshield at the eye level of the driver. HUD Projector can make your drive journey more safe and comfortable. 8. Can detect fault code and clear the fault code.